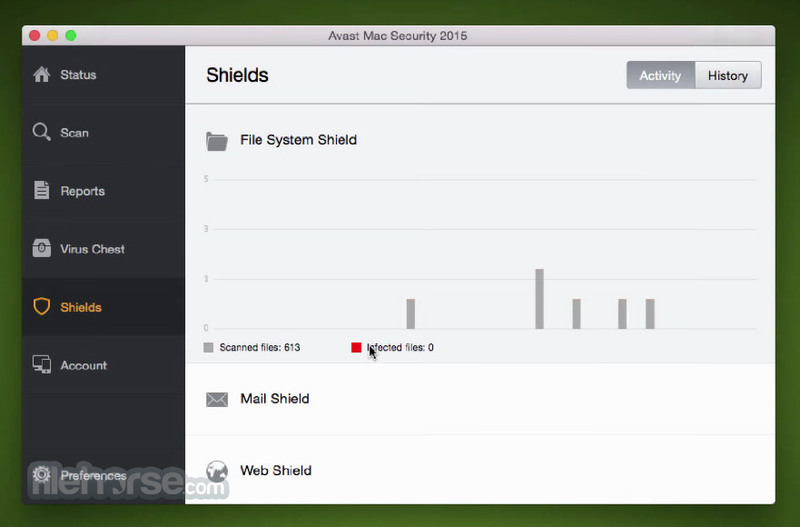 Avast Free Mac Security offers three shields, on-demand scanning and WebRep clients which are automatically (optionally) installed to Safari, Chrome and Firefox browsers. Web Shield and Mail Shield combine to check the vast majority of incoming data from the Internet, while File Shield scans all programs stored and executed from your hard drive. Everything is packed in a brand new GUI. 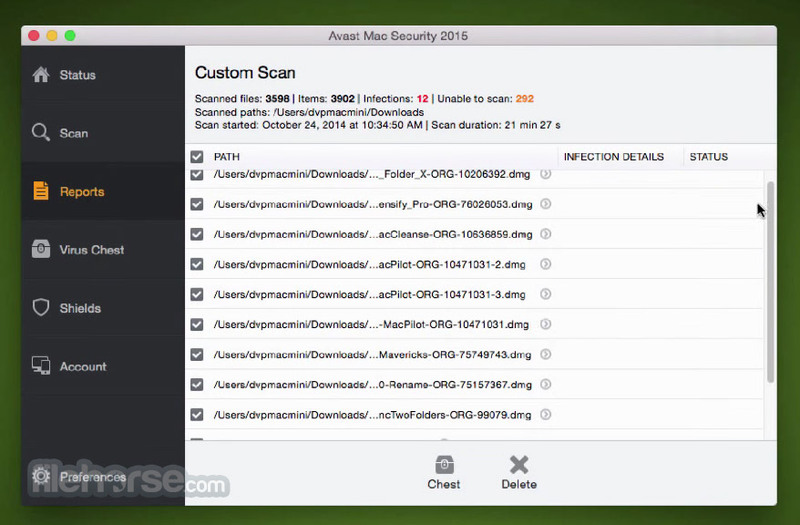 Download Avast Free Mac Security for OS X and protect your Macintosh with the best antivirus & security app. 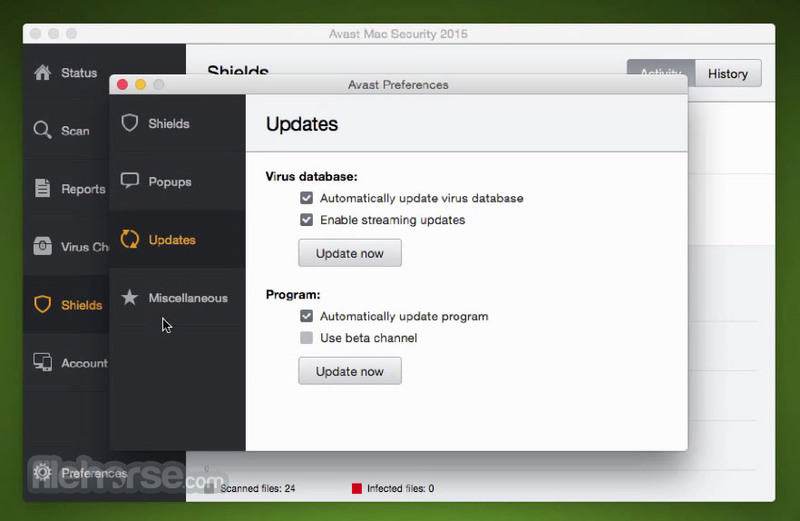 Download, Install or Update Avast Free Mac Security! 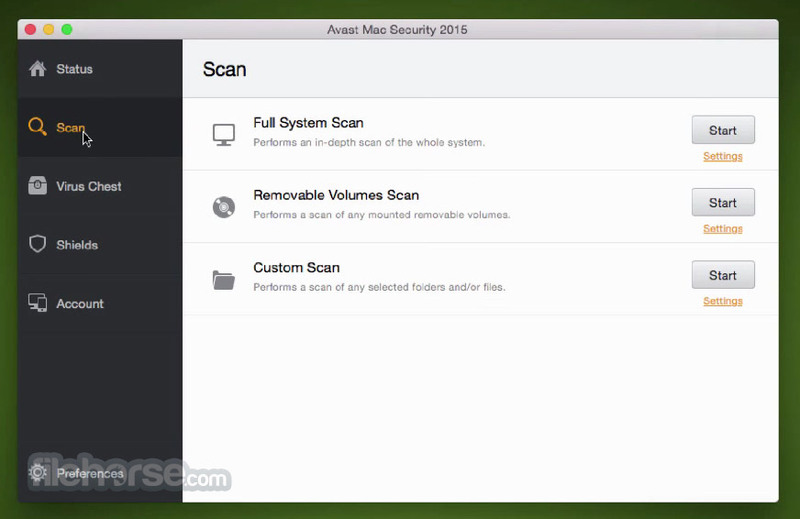 Mac OS X is considered one of the most secure operating systems available. But today’s threats aren’t after your computer – they’re after your identity and your money. Will it work with my Mac? If you’re on a Mac running OSX, it will work. You need 128 MB of RAM and 750MB of disk space. 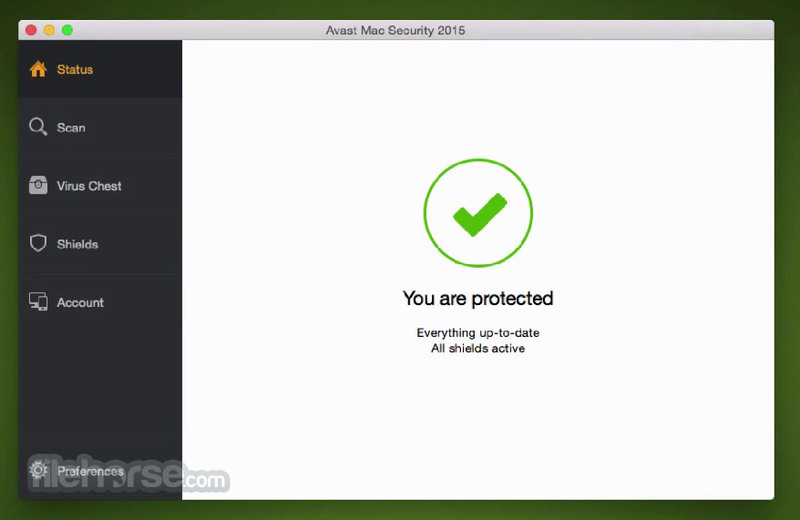 Beyond that, you can be running just about any stable version of OSX (even Yosemite), and we’ll keep you protected. More people around the world trust Avast for their security than any other company. That means better security for all of us. The reason is simple: "We see and react to more data from more users, so we can make your protection better."